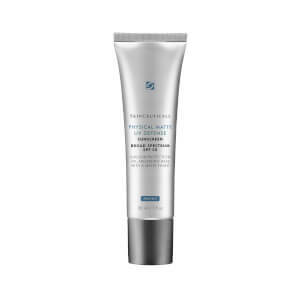 Sheer Physical UV Defense is a ground breaking physical sunscreen offering a first-to-market transparent, mattifying liquid that is paraben-free and offers true broad spectrum coverage from UVA and UVB rays. 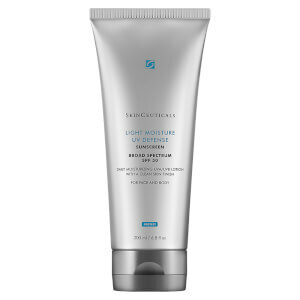 This unique formulation provides a non-irritating, ultra sheer texture for all skin types, even the most sensitive. Shake well before use. Apply daily to face neck and chest or apply liberally before increased sun exposure. Use before applying makeup. 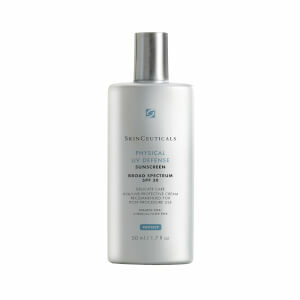 Reapply every 2 hours and after swimming or excessive perspiration. For children under 6 months of age, please consult your physician. Active Ingredients: Titanium Dioxide 6%, Zinc Oxide 5%. Inactive Ingredients: Water, Dimethicone, Isododecane, C12-15 Alkyl Benzoate, Undecane, Triethylhexanoin, Isohexadecane, Nylon-12, Caprylyl Methicone, Butyloctyl Salicylate, Phenethyl Benzoate, Styrene/Acrylates Copolymer, Silica, Tridecane, Dicaprylyl Carbonate, Dicaprylyl Ether, Talc, Dimethicone/PEG-10/15 Crosspolymer, Aluminum Stearate, Pentylene Glycol, PEG-9 Polydimethylsiloxyethyl Dimethicone, Alumina, Polyhydroxystearic Acid, Phenoxyethanol, Magnesium Sulfate, Caprylyl Glycol, PEG-8 Laurate, Disteardimonium Hectorite, Tocopherol, Propylene Carbonate, Artemia Extract, Benzoic Acid, PEG-9.